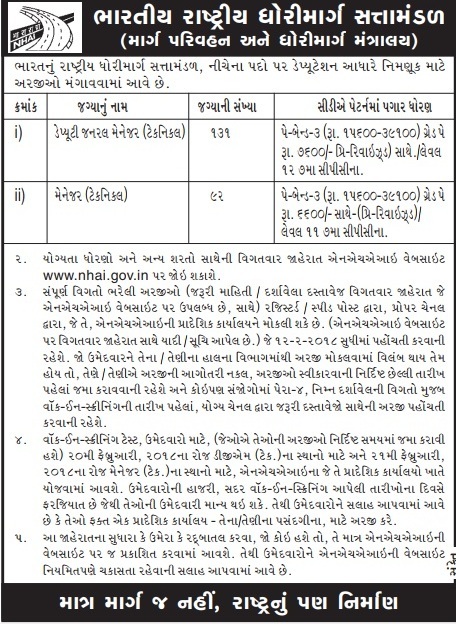 The National Highways Authority Of India (NHAI) is inviting online applications for the recruitment of 223 posts for the year 2018. Other details like age limit, educational qualification, selection process, application fee and how to apply are given below. How to Apply: Interested Candidates may Send Their Application By Post.